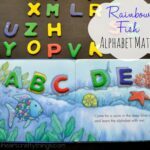 My preschooler has been working hard this past year on learning her alphabet. 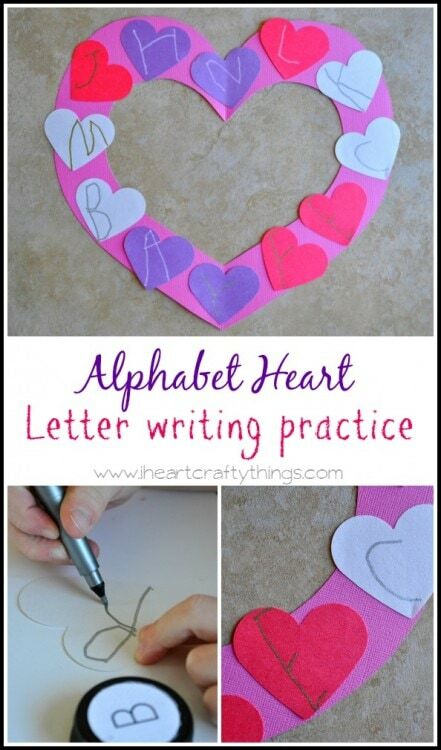 She has recently taken a big interest in learning how to write her letters now so I put together this Alphabet Heart Activity for her that incorporated letter writing practice. 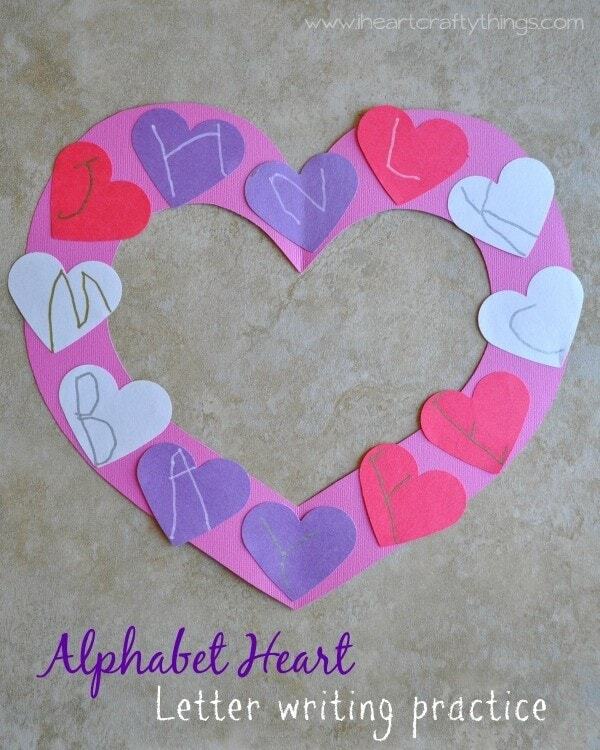 The alphabet hearts remind of those little heart candies for Valentine’s Day. 2. 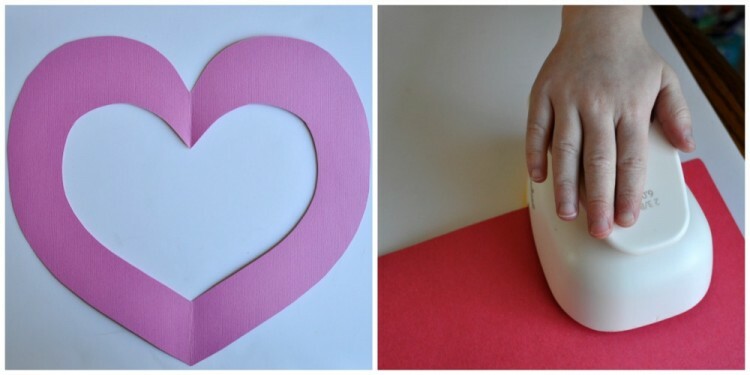 Use your heart punch to cut several hearts out of construction paper. 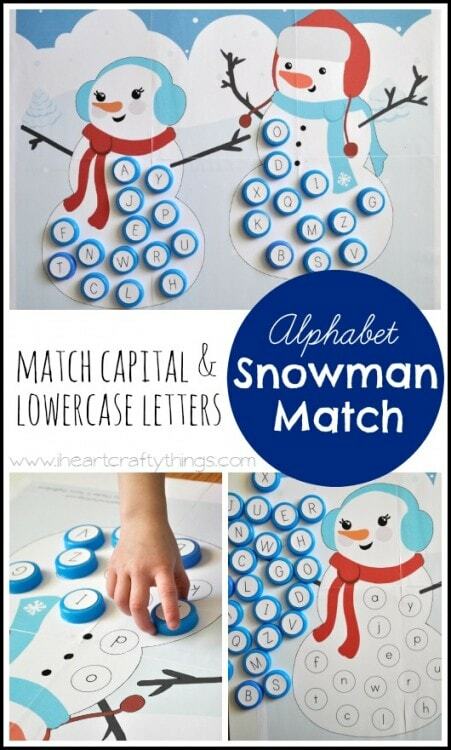 My daughter loves to use these punches so she was a big helper. 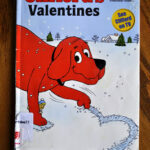 We stuck with Valentine’s Day colors using red, purple and white. We ended up using 12 hearts total. 4. 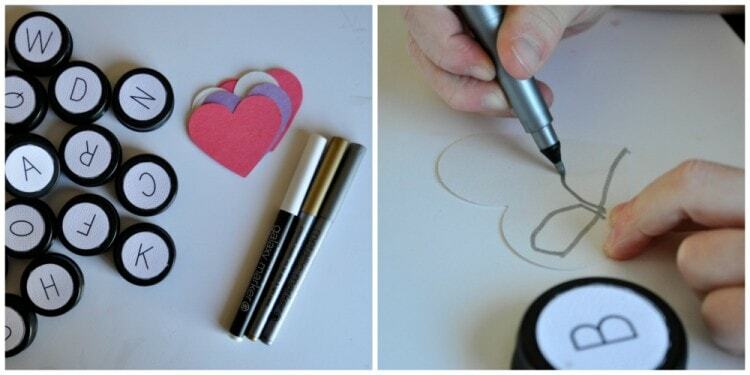 Continue writing letters on all of your hearts. Sometimes my daughter wasn’t happy with how her letter turned out so she would use the back side to practice the letter again. 5. 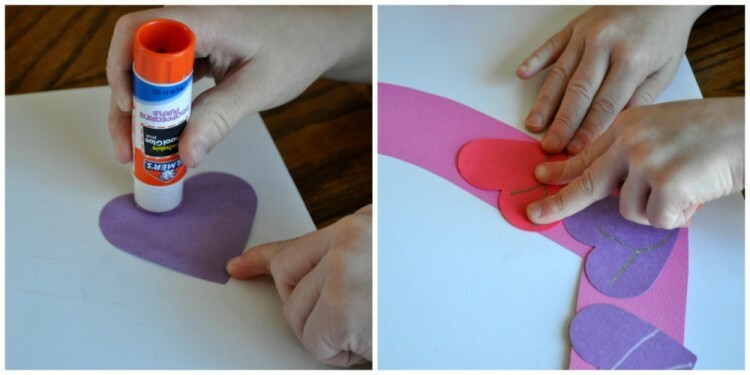 Finish the activity by gluing all your alphabet hearts onto your big pink heart. 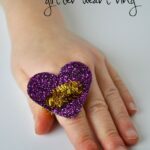 We finished by reviewing all the letters on her heart.